Thirty-seven acts will compete at the Eurovision Song Contest in Copenhagen, but there can only be one winner. To help you make an informed decision about where to cast your vote, the Wiwi Jury—our in-house panel of music un-professionals—will preview and review each of this year’s acts. It’s hard work, but we’ve got our painkillers and our notepads, and are ready to pick our Eurovision favourites. Our jury consists of 19 jurors who hail from Albania, Austria, Australia, Britain, Croatia, Finland, Germany, Greece, Ireland, the Netherlands, Norway, Romania, and the United States. We are truly international, y’all! Each juror assesses each song independently, and then awards each song a score from 0 to 10. The highest and lowest scores are then dropped to determine the Wiwi Jury Verdict. We’ll be unrolling these one by one over the coming weeks. You can read the completed reviews by clicking on the song title. If we have not yet reviewed a song, you can preview it by clicking on the song title in the second section below. ** Ties are broken by preferential vote. For instance, although the averages are the same for Ireland and Romania, nine jurors rated Ireland higher, seven rated Romania higher, and three scored them evenly. Ireland wins the tiebreak. Natasha…although he represented Greece, Riskykidd IS English, born and riased in London. How can you say his English is bad when he’s from England? Also think Sanna did an amazing job with her English. I think Lithuanian songs always use horrific English and need to stick to their own lanugage, using the last 2 years songs, 2013 with mentions of named shoes causing him pain *?!?! * and this year saying “chatting to my girls at bar, we all pretty” OH THE GRAMMAR. You guys must feel pretty dumb now for giving the Dutch entry such an undeservedly low score!! Paula and Ovi, you were the best! Finland is the winner this year, fresh young music. No nonsense, just a great catchy rock song with a great story to tell, too! All the others are far too pushy or complicated, or from hit factories and soulless. Georgia and …the cake song, was it Latvia? Should be in the final, they are good. But Finland’s Softengine is really something better !!! there is only one contestant: Conchita Wurst! so far above all the others. at least here in the gay community in Spain, there is absolutely furor over her…divine, elegant, amazing song, so theatrical, totally unforgettable image.. ¡go AUSTRIA! Armenia was so out of tune! He don’t deserve to win the contest he is way overated! The Netherlands is the Best! The Netherlands! I love the Dutch entry. Real quality. I can listen it all day. Sweden was also nice, beautiful voice and great light effects! Switzerland must pass the semi, he is brilliant!!! 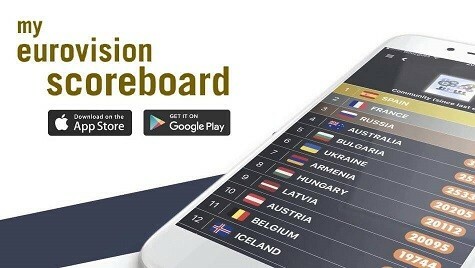 malta number one best there is 12 points to MALTA ..
ESTONIA WILL BE A WINNER!! Best song i’ve ever heard! Go Finland! I think that Finland has great song and the boys are really cute <3!! Helsinki 2015! Finland is gonna be dark horse this year. Remember who said this first. The Netherlands!!! Folks back to the basics…..let’s vote for music! Miracle from rumania in top 5!!! Aram MP3 is my favourite this year, I have told some of my friends in school to vote for him if he gets to the final. However, the vocals and stage show REALLY let this guy down. He is really going to have to work hard and fix where he went wrong or he is in some serious trouble in the semi final. He may struggle to get out of the semi final. Wow, you’ve left the big 3 favorites for last! I don’t think that was by chance! Armenia, Sweden and the UK are dominating the polls. Really looking forward to seeing United Kingdom’s rating. It’s my second favorite this year. For number 1, just think that I am wishing ”third time lucky” for one of the contestants! Oh sorry, I have Finland down twice, Belarus will barely make it. (As will Finland, based on rehearsals). The only one near the top I can’t see doing well is Ireland. The vocals are not good enough. The reports from rehearsals imply Kasey has been off all week and the staging is messy. UK! UK! UK! Molly! Molly! Molly! You left all the controversial songs for the end. Perhaps Albania will be next.